Pregnancy is a beautiful and special time in your life, and so naturally surprising all of your friends and family of your little bundle of joy needs to be filmed and splashed all over YouTube! Sometimes these reveals are incredible and will leave you bawling with happiness, some don’t go quite to plan. Either way, welcome to the world, future humans! You’re already famous! This poor boy already had TWO sisters. When he hears there’s a third coming along rather than another boy to make things fair and square, his reaction is one of utter devastation. 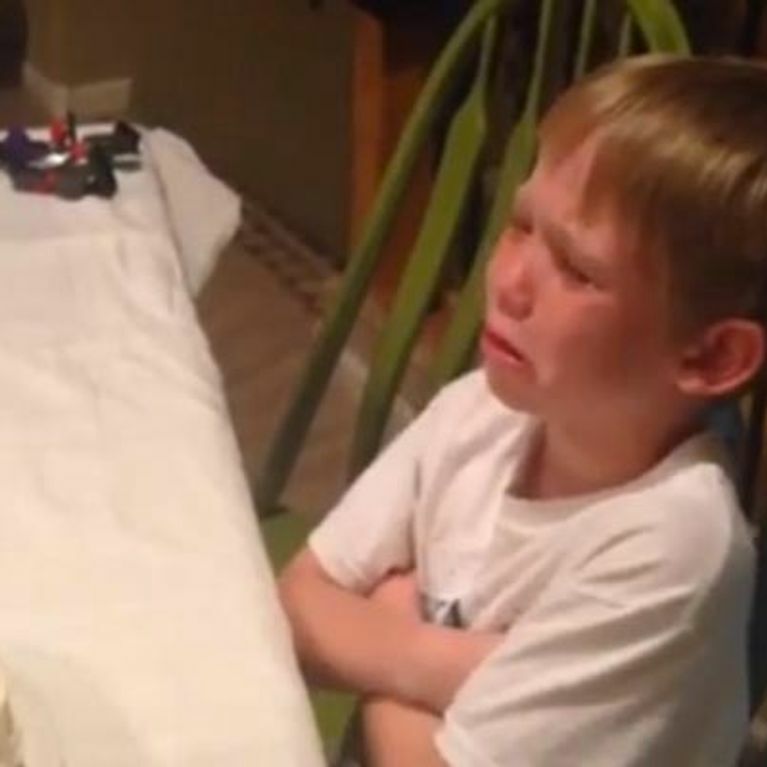 We love how his little sister tries to cheer him up by telling him there’s jelly in the cake. Hilar. Want a good way to tell everyone you’re having twins? Get them all to pose for a family photo, then instead of shouting ‘say cheese!’, shout ‘We’re pregnant with twins!’ The camera catches it all, and the family’s reaction is amazing! This obviously loved up lady surprises her partner with a sleeper suit. The guy looks so happy, and it turns out the pair have been trying after having IVF treatment! Where’s that ninja chopping onions? Sniff. Much like the case of the little boy who just didn’t want a sister, this little girl is devastated to hear that she has a brother on the way. She cheers up considerably when her parents remind her that she’ll always be the little princess now. That would totally have worked on us as well. Want to take the pregnancy reveal to the next level? Give your mother the gift of baby balloons, wrapped in a giant box that will float out. The moment of realisation here is SO sweet! If you ask all of your children whether they want your unborn baby to be a boy or a girl, you’re playing a risky game. Of course they won’t all say the same thing! Prepare for major disappointment kids! After you’ve already had four bambinos and it’s getting tricky to think of new ways to surprise the family, just get children 1 through 4 numbered t-shirts, then finally introduce a miniature t-shirt number 5. It’ll go down a storm! This couple surprised their family with triplet news by putting three sleeper suits in a framed photo. Everybody looks utterly dumbstruck! Something you wouldn’t necessarily want to happen whilst announcing your pregnancy to your three children is cause a tantrum riot. These parents learnt their lesson the hard way. When this mum realises she’s about to become a grandma, she screams the roof down. It’s adorable.